Summary: It took them by surprise when the infection hit. Dean had always expected the world to fall apart through a clashing of biblical forces, not from a half-dozen scientists with a serious God complex. In the devastated remains of civilization, Dean, Sam, Castiel, and two fellow survivors travel across the country searching for others. Living in a wasteland is hard enough, having to face a plethora of new threats doesn’t make it any easier. But for Dean and Castiel, the most difficult journey will be finding something together that can withstand it all. 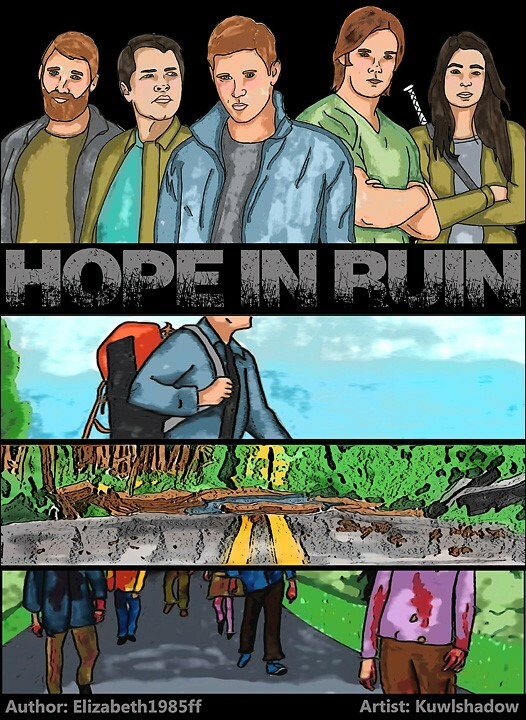 In a world so damaged, finding hope amongst the ruin will be their greatest challenge. Summary: Dean Campbell had an alright life. Nothing really to complain about. Well... except the seizures, and the general sensation that something was wrong. But then he crashed the Impala, and two days later an innocuous man moved in across the hall and everything changed. It was intense how he felt about Cas, this blue-eyed mysterious guy that said the strangest things. Dean fell for him so hard it was borderline insane. As much as it terrified him, Dean gave into it... let himself be happy. Of course, that was when it happened, when something shattered the lie. The mystery of his life had been solved, but what would it cost him? I am slowly working my way through scene add-ins, and general tweaks to the story. I can't wait for it to be polished and complete!